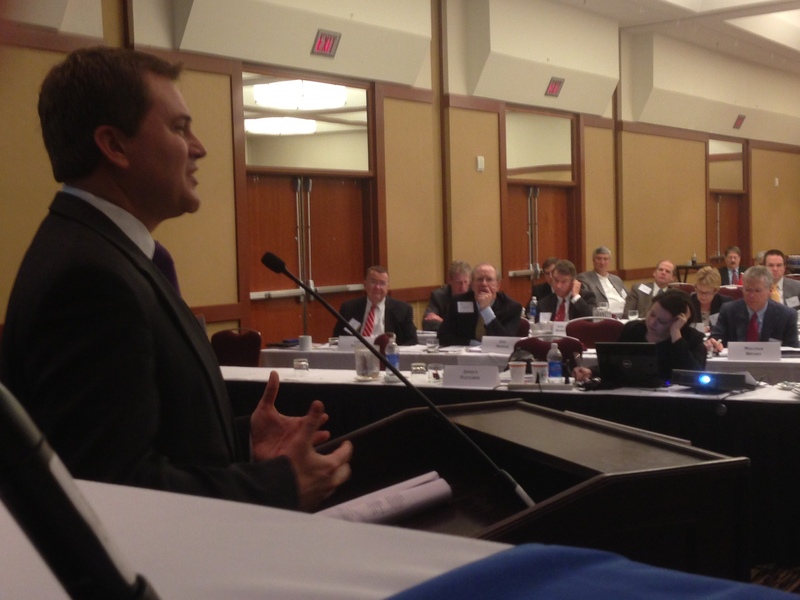 Today Agriculture Commissioner James Comer addressed the board of directors of the Kentucky Chamber. Commissioner Comer discussed the importance of agriculture to Kentucky’s economy and the vital role it will play in international trade. Comer also addressed an issue for which the Chamber had been studying – the possible production and commercialization of industrial hemp. The Kentucky Chamber supports exploring the commercialization of industrial hemp in Kentucky. Provided there is an adequate regulatory framework adopted to oversee the production and cultivation of industrial hemp, the Chamber supports legislation to position Kentucky as a leader in the production and commercialization of industrial hemp.